Facts for Kids is an informative section dedicated to helping children understand important eco issues and healthier living at an earlier age......go now. Convictions of the Heart is dedicated and committed to helping you and your family become environmentally aware. We hope this site has been helpful. 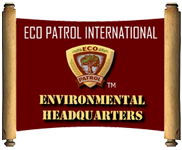 "Please shop again for Environmental Products, Environmental Health products Environmental Safe Products" Please feel free to email us or use the form below to contact us. Thank you. Convictions of the Heart (COH) is an informative site to help you and your family become aware of the current environmental problems and personal effects on your health. We provide environmentally friendly products, the all natural alternative to a healthier life.